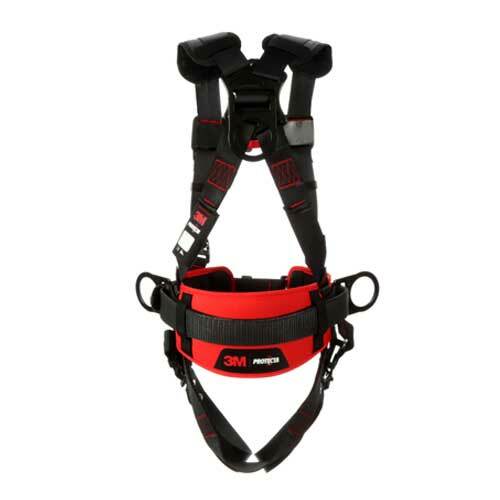 3M Protecta Comfort Construction-Style Positioning Harness with a fixed dorsal D-Ring to minimize workday readjustment and moisture-wicking, breathable shoulder/hip padding. Durable and sturdy work belt, tongue & buckle leg straps, pass-thru chest connection and back/side D-Rings. 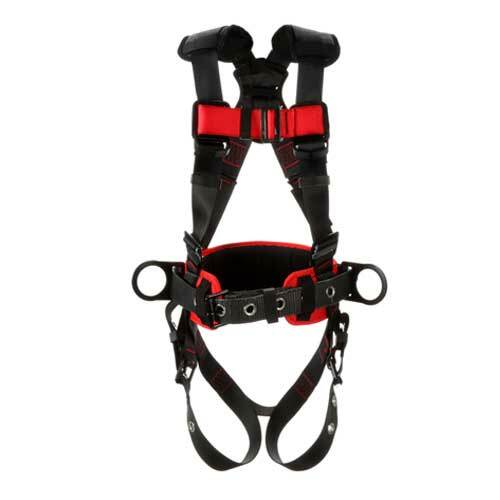 Specially designed for added comfort and convenience, this harness is rated for 420 lbs (190 kg) total working weight.